FinestDream HW - Young Stunner for a Future Star! Wolkenstein II is believed to be the best son of the famous Weltmeyer and has already proven himself to be an outstanding sire of stallions, mares and performance horses. He descends from a highly regarded dam-line. His granddam was a full sister to Garibaldi I and Garibaldi II (sire of Gifted). 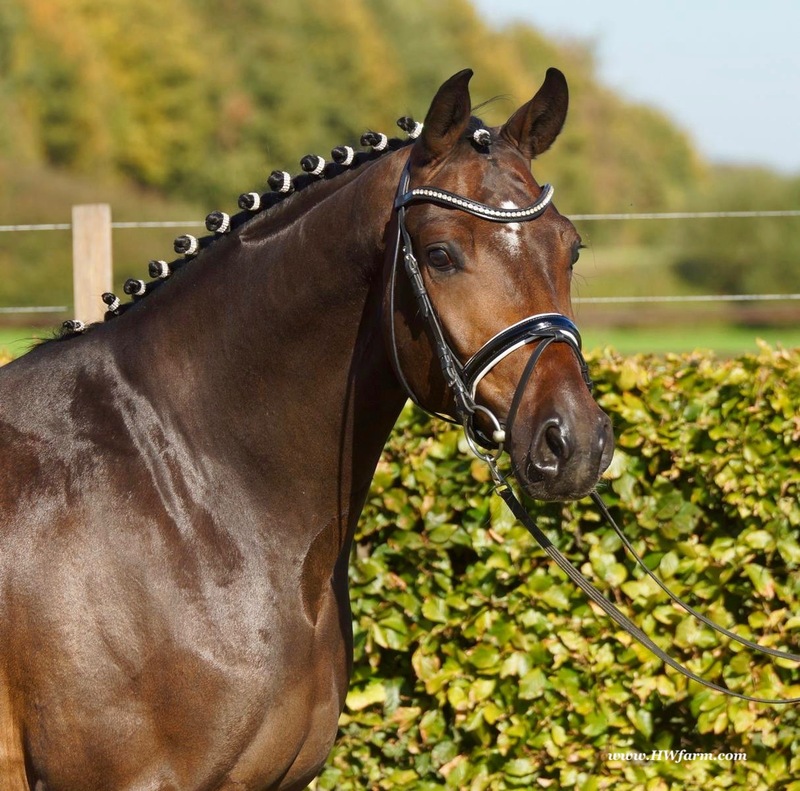 He was Champion of the stallion performance test in 1993 and then went on to become Champion of the 3-year old stallions at the Federal Championships of German Riding Horses. In 1994, he was honoured as the best stallion of his year and was the winner of the "Freiherr von Stenglin-Prize". 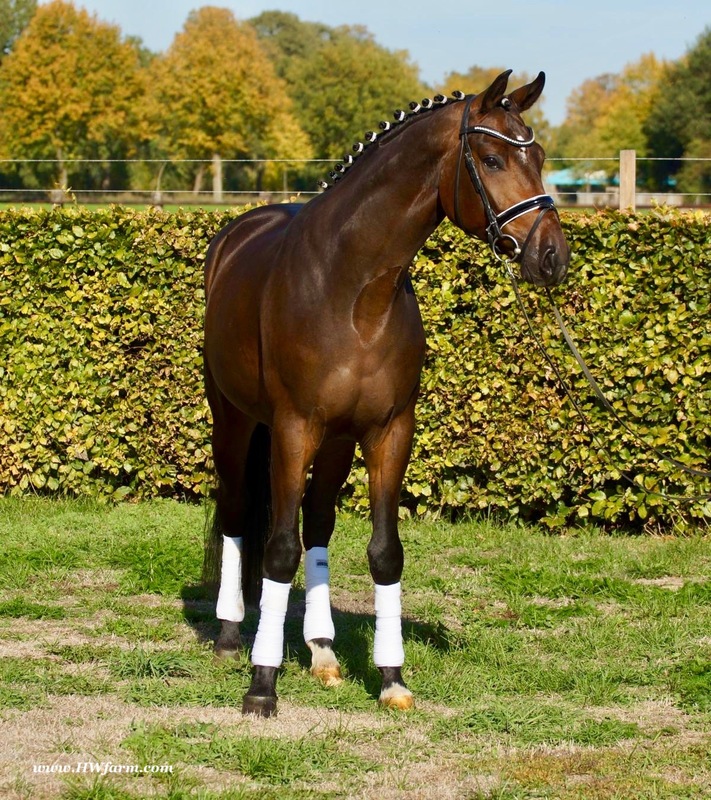 This very prepotent stallion is a great performer and passes on his outstanding abilities and athletic versatility. He has a faultless character, and an extraordinary willingness to perform with a tremendous presence, well muscled conformation, and is a very handsome horse. 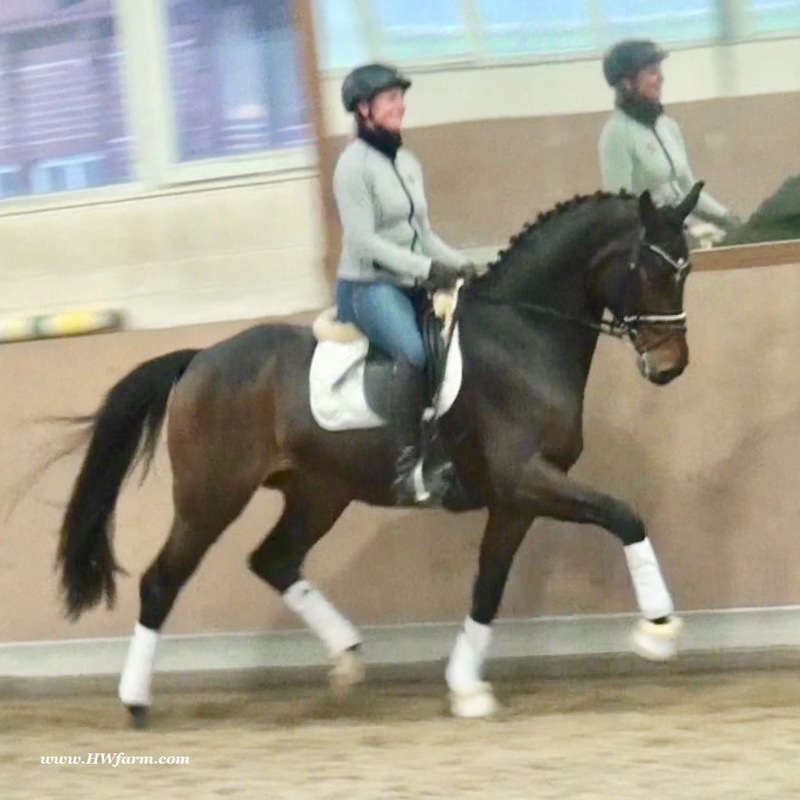 He has a marvellous dressage ability and additionally good jumping, together with an energetic hindquarter action in trot and a forward-going elevated canter. His sons and daughters are continually proving themselves in the breeding arena and the show ring. One son is Welser, was Reserve Champion at the 1997 Hanoverian Licensing and Reserve Champion at the 1998 Stallion Performance Test. Another son, Waterford, was Champion at the 1998 Stallion Licensing and Champion of the 1999 Stallion Performance Test. 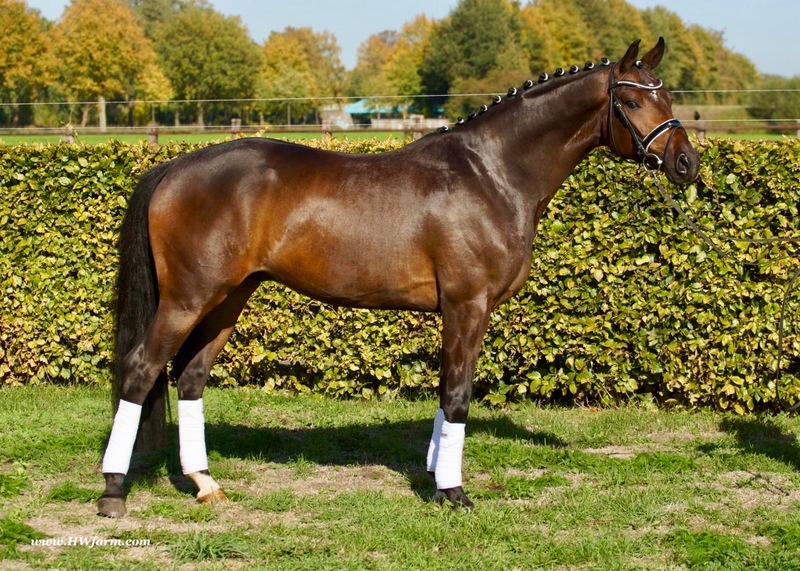 He also sired Woiwode (a full brother to Wyndemere), Weltano, who was 5th at the Federal Championships of Young Riding Horses at Warendorf, and Wildest Dream was Champion of the 3-Year-Old Mare and Gelding Class at the 1999 German National Riding Horse Championships. One of his daughters, Wildflower, was Champion of the 2 and 3Year-Olds at the 1999 Louis Wiegel Show (German National Champion Mare Show) in Germany. The list goes on, to date, Wolkenstein II has 46 Approved sons, 157 State Premium daughters and many highly successful riding horses, including Whisper and Wolke Sieben. 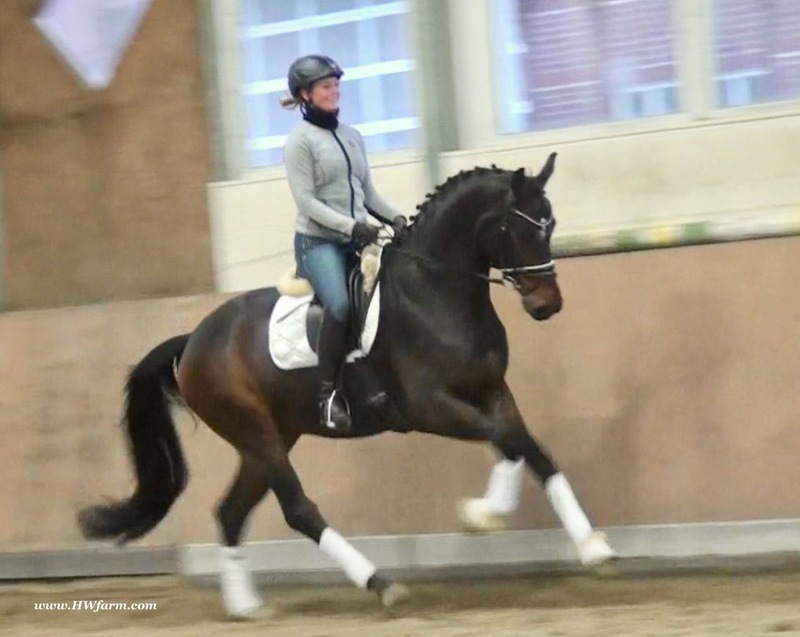 His Breeding Value for dressage is 144 and for jumping is 99. His mares at their Performance Tests have a breeding value for dressage of 141 and 141 for type! $80,000 - Including import and quarantine to NY, check out his video clip!! !